Geoff Plank has just returned from a five-day tour of the Philadelphia area during which time he presented five talks related to his new book John Woolman’s Path to the Peaceable Kingdom: A Quaker in the British Empire. Geoff spoke at the Quaker meeting house in Woolman’s home town of Mount Holly, New Jersey, at Swarthmore College, Haverford College, and the Pendle Hill Quaker Conference Center. He spoke on a range of topics, including the eighteenth-century abolitionist’s family life, and the Woolman family’s experience of slaveholding. ABOUT: Lisa Samuels teaches literature and creative writing at the University of Auckland in New Zealand. 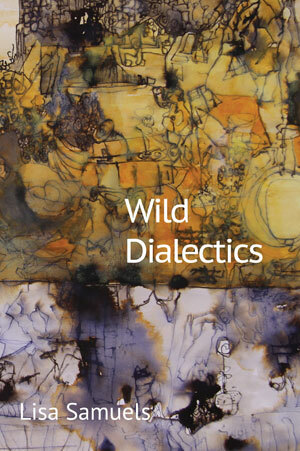 She publishes essays and edited work on poetry, theory, and critical practice. She is the author of four chapbooks and six books of poetry, including The Invention of Culture, Throe, Tomorrowland , Mama Mortality Corridos, and Gender City, as well as a creative non-fiction book, Anti M. Her current projects include an essay collection, Modernism Is Not Enough, an audio recording of Tomorrowland with soundscapes, and a modular novel experiment, Tender Girl. Having lived in various parts of the United States, as well as in Sweden, Israel / Palestine, Yemen, Malaysia, and now New Zealand / Aotearoa, she is interested in transculturalism, especially as embodied in language and the digitas. Copies of Lisa Samuels’ Throe, published by Oystercatcher Press, will be on sale at the reading. AMS's Professor Chris Bigsby is now a regular columnist for THE. You can see an archive of his recent columns here. Enjoy! Our Research Seminar series - subtitled American Borders this semester - is about to jump into action. You can view the full schedule here. The first session takes place this Wednesday at 4pm in Arts 1.16. Henry James is traditionally regarded as the most inward-looking of all nineteenth-century novelists, preoccupied above all with the representation of consciousness. This focus on the recesses of subjectivity, however, can lead us to overlook the importance of bodies and of public behaviour in his work. In this paper I suggest that James’s late work shows a preoccupation with one such publicly observable behaviour in particular: embarrassment. Focusing mainly on What Maisie Knew (1897) and The Awkward Age (1899), I read James’s representation of embarrassment and social awkwardness in the context of debates within late-Victorian psychology about the mind-body relationship. I suggest that blushing and other manifestations of embarrassment were charged with special significance in the context of these debates, and that James’s sensitive depiction of these states is not susceptible to critical analysis in terms of consciousness and interiority. All welcome - see you there.